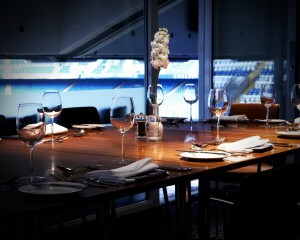 Chelsea Football Club has triumphed at the Conference & Venue Supplier Awards 2013 by winning Best Medium Conference Venue, accommodating between 300 to 1,000 delegates. Chelsea FC received the esteemed award for the quality of its facilities, excellence in customer service, catering, added value and flexibility. The club was also praised for its long standing relationships with clients and ability to deliver a bespoke service from its specialist events team. Chelsea FC, known as London’s most complete venue, boasts 21 function rooms, 60 syndicate rooms, four bars and restaurants including two by Marco Pierre White, a music venue, 281 bedrooms in two hotels and London’s most exclusive health club within its 11.5 acre site. Simon Hunter, Head of Venue and Brand at Chelsea Football Club, comments: “We are absolutely delighted to have won this award. The team has worked continuously to maintain our standards of service and facilities at the venue, and this award recognises all their hard work. Coupled with our Eventia Award for Event Venue of the Year 2012, we hope to welcome more events to our award winning venue”. The awards were announced on Friday 7 June at The Brewery.